Provides overall guidance and supervises the activities of all structural units of the Company. Develops strategic goals for the development of the Company. Provides an implementation of the strategy and efficiency of employees. Born March 11, 1984 in Talgar near Almaty. In 2002 he graduated from Technical High School #165 , which has the status of one of the prestigious educational institutions of the city of Almaty . He studied at the time when the director was Kwacha ND, teacher of the highest category, a teacher of physics and radio. Alexey gained Higher education in the K.Satpaev Kazakh National Technical University (KazNTU) . In 2007, he defended his diploma of SE for specialty “Organization and Information Security Technology.” He began his career in 1999 working for SKTB JSC “Granit” as installer radio – electronic devices. After entering the university, he continued to work at the factory, but as a software engineer. In 2004 he decided to try himself in the role of sales manager at Computer Systems Corporation. In 2005, worked as a security engineer at the Technical Center «Kadar “. May 18, 2006 – decided to start his own business, organized legal entity – an individual enterprise Belimov AY. 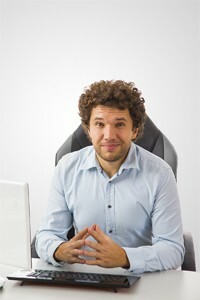 In 2007 together with his family, has created a company IT SUPPORT GROUP (www.itsupport.kz) – to provide IT- services and service of computer equipment. All the Belimovs are involved in the family business – Alexey Y. became CEO , mother Elena is a chief accountant, father – Yuri Pavlovich is responsible for the service of copiers, and younger brother – Oleg heads the remote support. Supervises and controls the activities of the technical units of the Company. Negotiates contracts with customers and partners. Participates in the development of documented procedures . Organizes work on monitoring , analysis and improvement processes in the company . Oversees the work of the Board of the Company. Born May 6, 1984 in Almaty. Graduated in St. Petersburg, Russian Federation St. Petersburg State University of Telecommunications named after prof. MA Bonch-Bruyevich , faculty – multichannel telecommunication systems, specialty – engineer multichannel telecommunication systems. He joined the Air Defense Forces of the Armed Forces of the Republic of Kazakhstan in 2007-2008 in the position of senior radar operator P-18 . Since 2011, the Company LLP «IT SUPPORT GROUP» as head of the IT department. In 2009-2011 he worked in the Company LLP «BOGO» manager for technology heating equipment. In 2007 he started his career in JSC Bank “Caspian ” in the Regional Manager of the supply department to work with the regions. Involved in sports and archery, a black belt, first dan in taekwondo, playing ping-pong. The company is engaged in sales of goods and services, working with the client base, aimed at improving the quality of distribution and sales growth. Born on September 24, 1988 in Almaty. Won the interdojo competition in kickboxing in Almaty, 2004. In 2008 graduated from the Almaty State Polytechnic College in “Computers & Software “, qualification – a technician programmer. Main career began in 2007 in the company Belimov AY in the position of a systems engineer. In the same year, Belimov A. LLP was reorganized into the company IT Support Group. In 2008 he was transferred to the copiers service department. In 2009, the combined performance of functional duties as a systems engineer and office equipment repair specialist. Got the hang of working with 1C, processing and flow of documents in the Company. In the same year due to the growth of the company, he organized the first sales of personal computers (laptops) and accessories. Since 2010 – sales manager. Mastered the drawing up of offers, contracts , customer search, track shipments . In 2011 he received the experience of participation in tender purchases (single-stage , two-stage , open, closed , mats and envelopes) . In 2012 he was appointed Head of Sales. Duties: price controls on products, payment schedules and control of shipments for each customer, representing the interests of the Company in its relations with clients, ensuring that the planned sales, training and development of sales staff, management and control of the actions of the subordinate to, and ensure coordination action logistician – forwarder.